This substantial beauty is a favorite for so many reasons! It features an offset stack of ovoid pieces detailed with metal studs and anchored by an artistically etched metal disc that echoes the disc buckle. 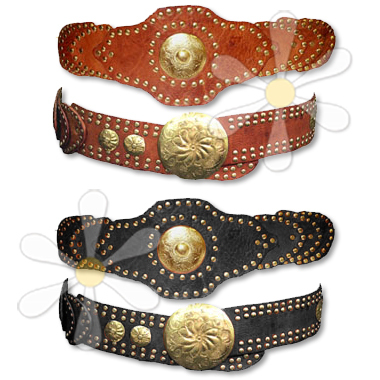 The gorgeous buckle anchors the fit, whether you wear it low on the hip or as a cinch at your natural waistline. Gorgeous!